A continuation from my last post about the foods we tried while in Lima,Peru, here you will find an introduction to the first Peruvian dishes we discovered. This is only the beginning, stay tuned for more foods to come! 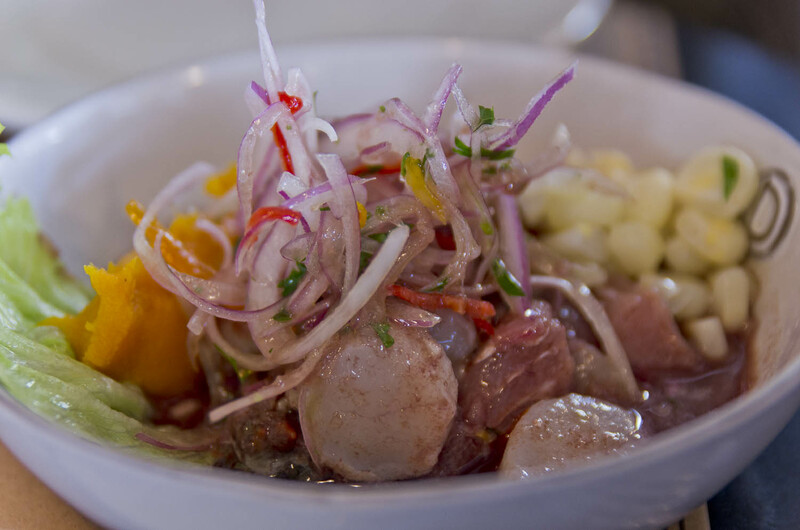 The birthplace of ceviche lies in Peru and it’s also the place where you will have the best you have ever had in your life. No, seriously. Ceviche is raw fish (any kind works but typical Limeño choices are flounder, octopus and calamari chopped in fairly big chunks) that is ‘cooked’ (not really cooked but more like tenderized) in citrus juice.. Garlic, onion and parsley is added and the key ingredients are the juice from the Peruvian ‘limon’ (key limes as we know them in the states) and the rocoto pepper (a type of spicy chili pepper). It should be made fresh then eaten straight away. Typical accompaniments include a piece of choclo (large corn kernels), maybe some cancha salada (fried, salted corn which adds an important crunch), camote (sweet potato for smoothness) and thinly sliced red onions (provide crunch and a pungent component). Simple, delcious and the perfect combination of textures. Our favorites were from restaurants La Mar & El Mercado but for less upscale versions-just choose from the thousands of cebicherias found all over Lima. Mercado Surquillo has high quality ceviche. Just make sure you go early because it’s meant to be eaten in the late morning/early afternoon when it is fresh. Don’t be afraid to drink the ‘juice’ at the bottom called ‘leche de tigre’ (milk of the tiger). It is said to be especially beneficial (and an aphrodisiac) for men. 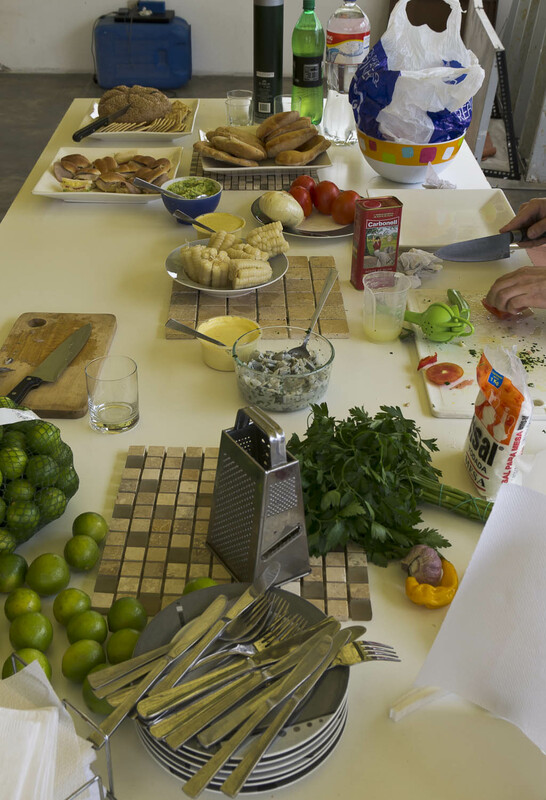 I had a great opportunity in Lima, thanks to a friend who lives there, to learn how to make this traditional dish. 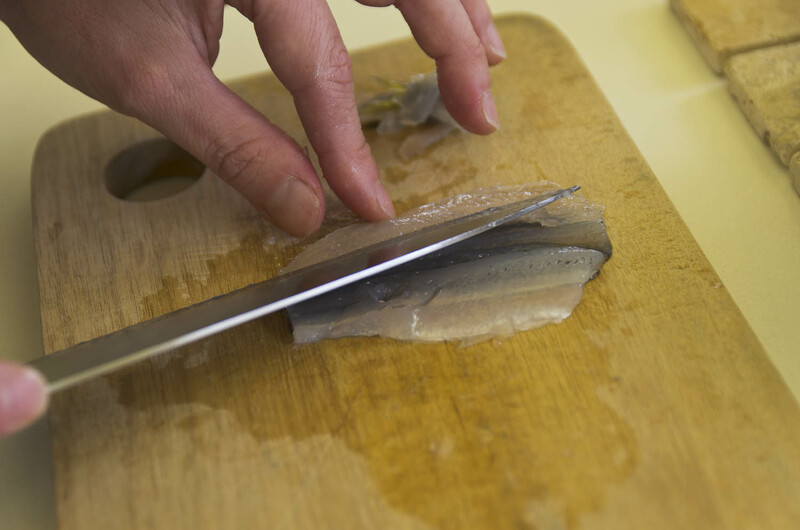 We used flounder in one preparation and pejerrey (we used the smaller one from the sea; it is also found in the river where it is much larger) in another. 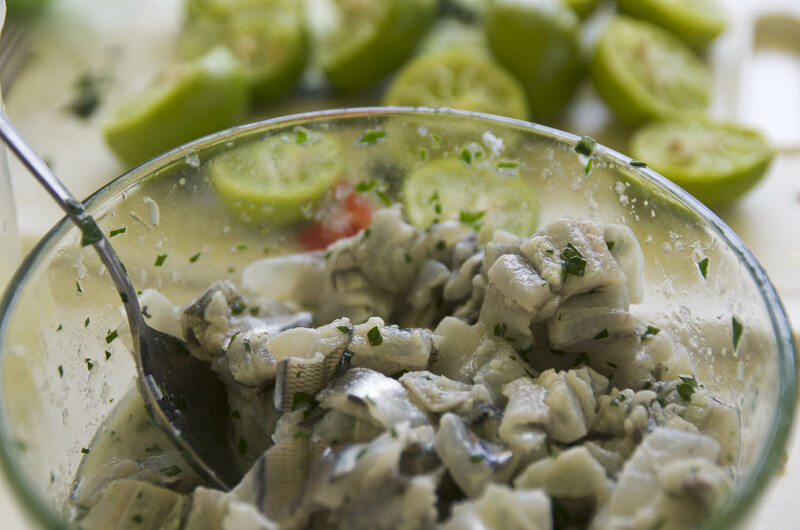 A cousin to ceviche; thicker than carpaccio and thinner than sashimi-this Asian-Peruvian fusion dish is found in most places that serve ceviche. It is served with a variety of Peruvian sauces. A popular one is made with aji amarillo (mildly spicy chile pepper) which serves as the basis for many Peruvian dishes (think aji de gallina). Another dish that should be consumed when it’s made to avoid over ‘cooking’ the fish. It’s often garnished with sliced avocado and some thinly sliced green onion and pepper. I like to refer to causa as a very fancy potato salad but that just doesn’t do it the justice it deserves! 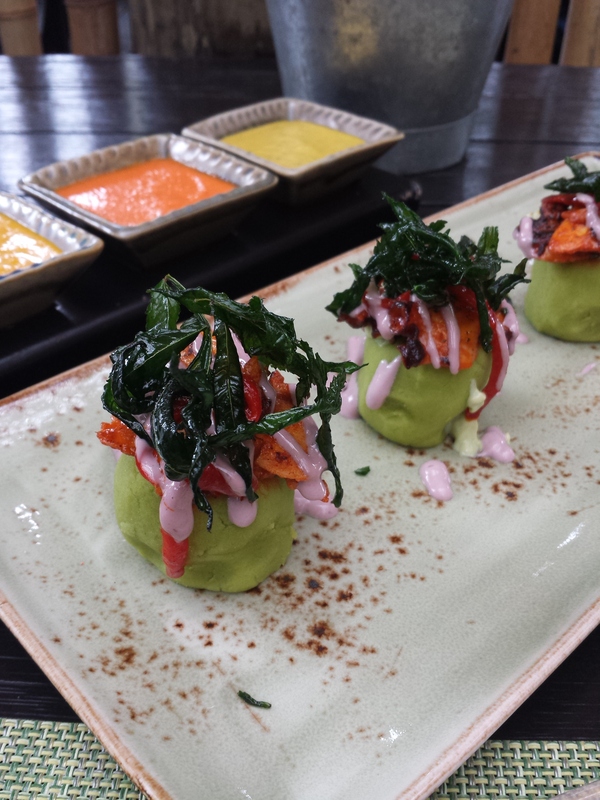 The word causa comes from the Quechua word ‘Kausaq,’ meaning “that which gives life.” The main ingredient is the potato, which in case you missed it, comes in almost 4000 varieties in Peru. For this dish papas amarillo (yellow potatoes-similar to the yukon golds in the states) are typically used. The potatoes are boiled and then mashed similar to mashed potatoes but instead of milk and butter they get the Peruvian treatment of olive oil, limon (key lime) juice, the ubiquitous aji amarillo and often times (as pictured here) avocado. Then it is molded (sometimes in a cake shape or other times in a ball) and often stuffed with chicken or fish. The photo above is a more modern interpretation topped with grilled octopus and fried seaweed from restaurant La Mar. You can find these being grilled all over the streets in both Peru and Bolivia, the smell of bbq rising from the open grills. The first time I got a wiff of these meat kabobs grilling outside of a supermarket, my mouth began to water. Then I found out that they were beef hearts on a stick and my stomach recoiled a tiny bit. Until I tried them. 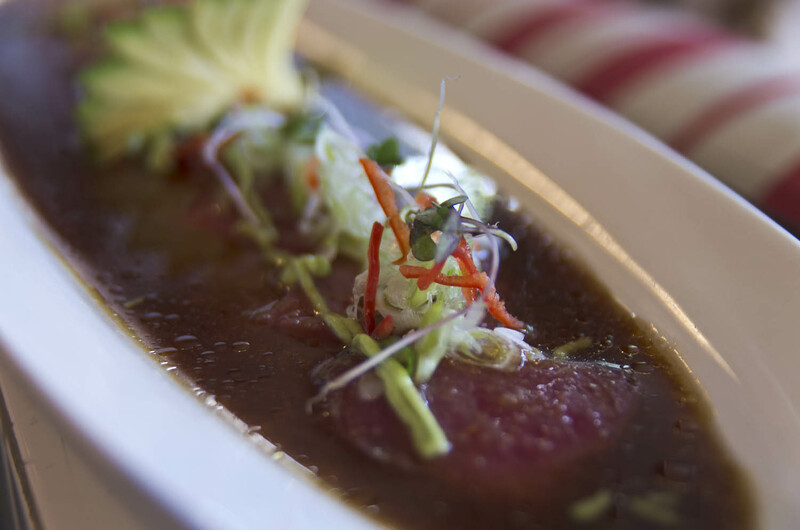 Achingly tender, melt-in-your-mouth goodness. They are usually marinated in vinegar and spices and finished off with a big potato sticking out of the end. 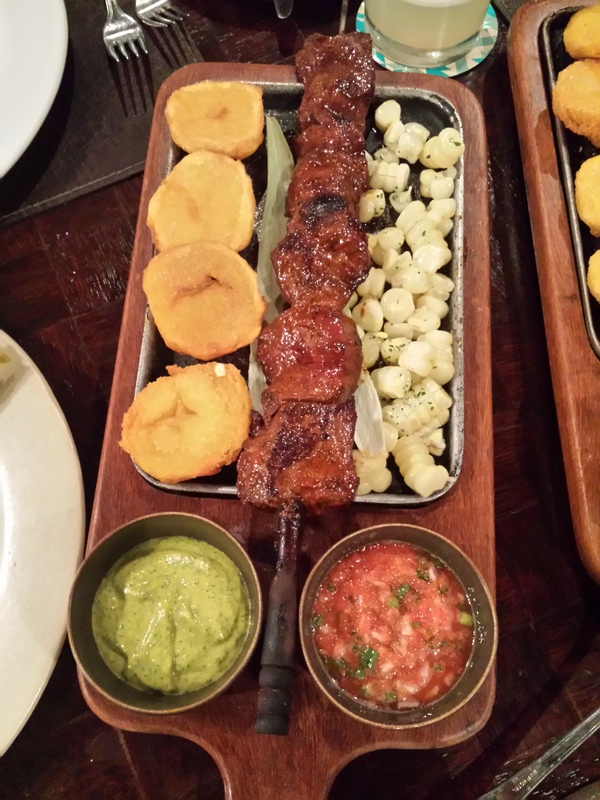 Here is a more upscale version from the restaurant Panchita which specializes in anticuchos of all kinds. I tried the ones sold on the street and while you can get good ones, these were exceptional. Antichuchos date back to the Incan empire. This dish is found in many Mediterranean cuisines but it’s also wildly popular in Peru-especially Lima. I had to include it in this list because it’s the best I have ever had in my life. The many times I tried it, it was never, ever chewy (which is what happens often because when it’s overcooked). It literally melted in my mouth, each time and almost everywhere we went, if it was on the menu, we ordered it. There is no better treatment for octopus other than grilling it to perfection and slathering it with a tasty sauce (usually made from balsamic vinegar). These sweet treats can be found all over Peru and from many street vendors in Lima. 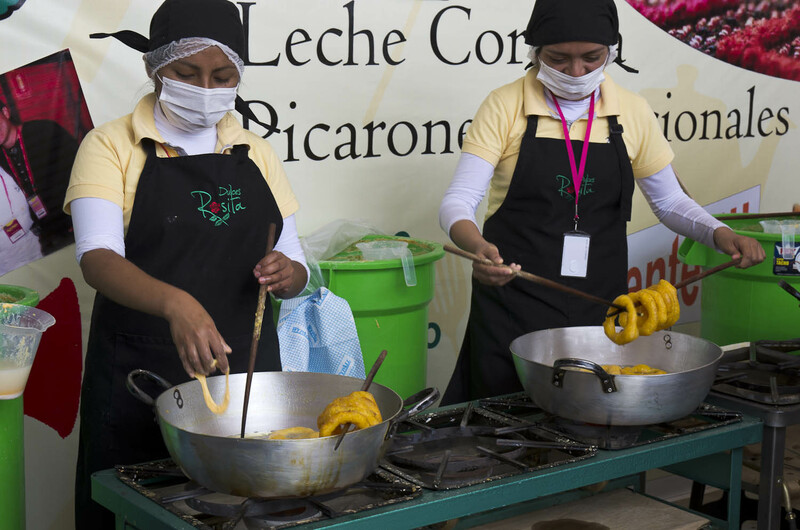 It’s kind of like the Peruvian version of a doughnut but instead of using flour, they are made from pumpkin and sweet potato. They are deep fried and served with a sauce made from molasses (which I found to be cloyingly sweet). Originally they were made to replace buñuelos, which were considered too expensive to make. 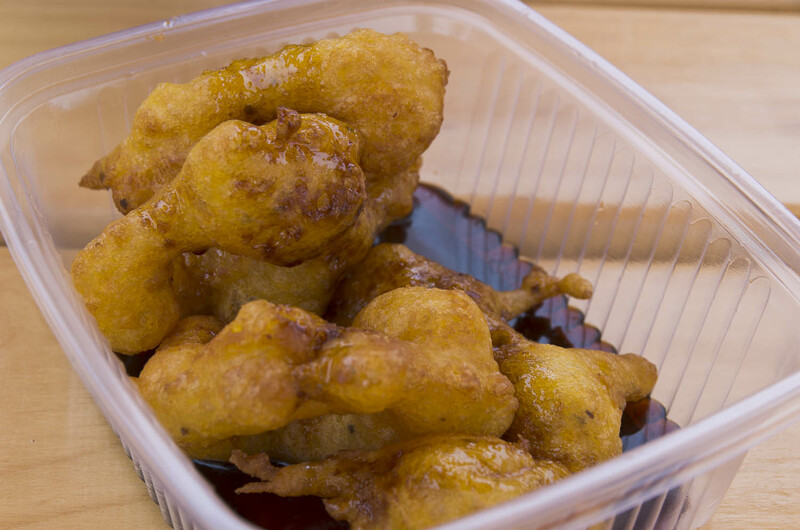 The picarones caught on instead and are now considered a national dish traditionally served with antichuchos. 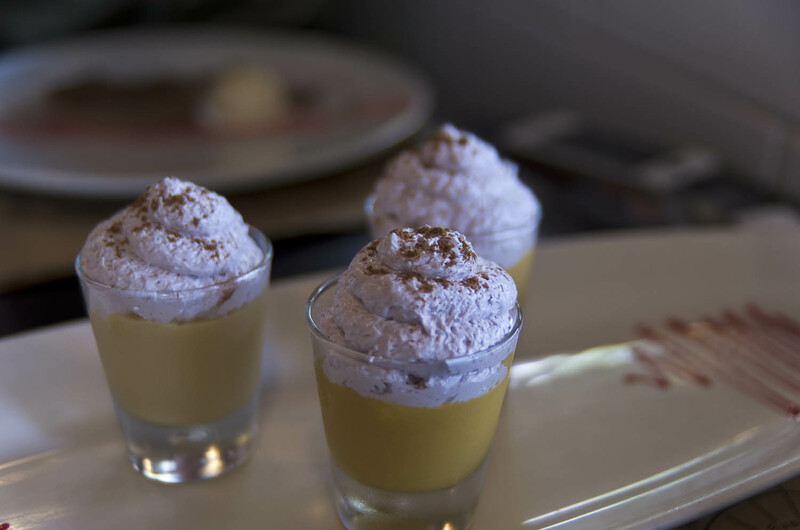 A classic dessert found in Lima, suspiro de limeña translates to ‘the sigh of a woman’. Well, she must have been one hell of a lady because this dessert is so rich and sweet but also dangerously addictive. It starts with a layer of the Peruvian version of dulce de leche (called manjar blanco in Peru) fortified with egg yolks (as if dulce de leche wasn’t rich enough!) and is topped off with a firm meringue. I often think the word sinful to describe a dessert is a little silly but it fits the bill here! 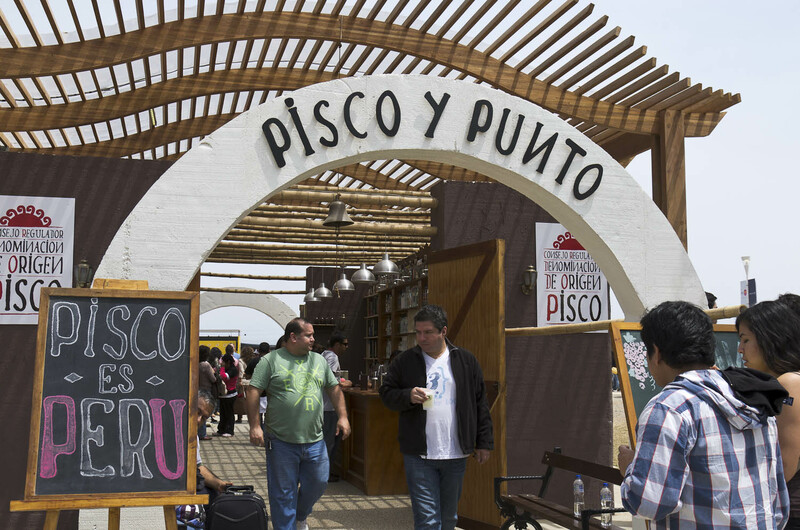 The national drink of Peru (rightly so) is Pisco. Sorry Chile. 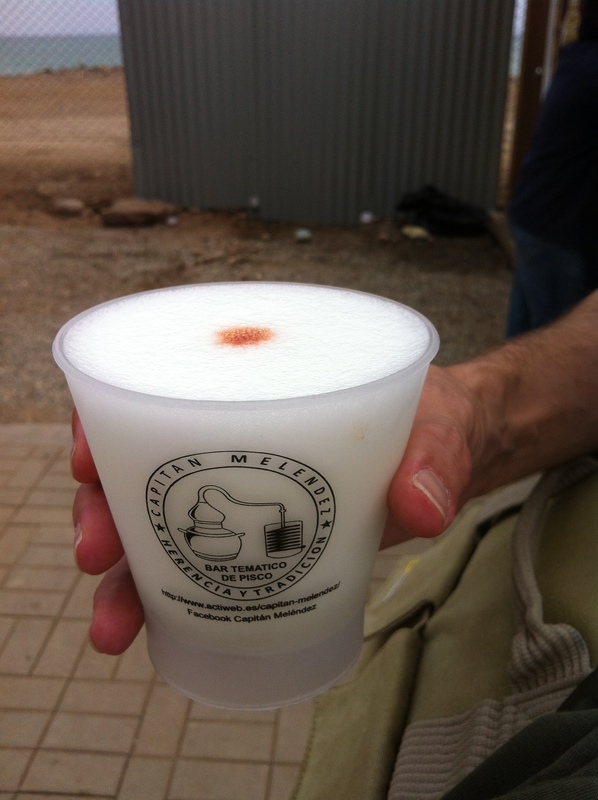 Remember my post way back all about the war on Pisco. I am going to have to side with Peruvians on this one. There is just no comparison. Pisco is made in the same way as brandy and in Peru, it’s distilled in copper pots and never diluted. 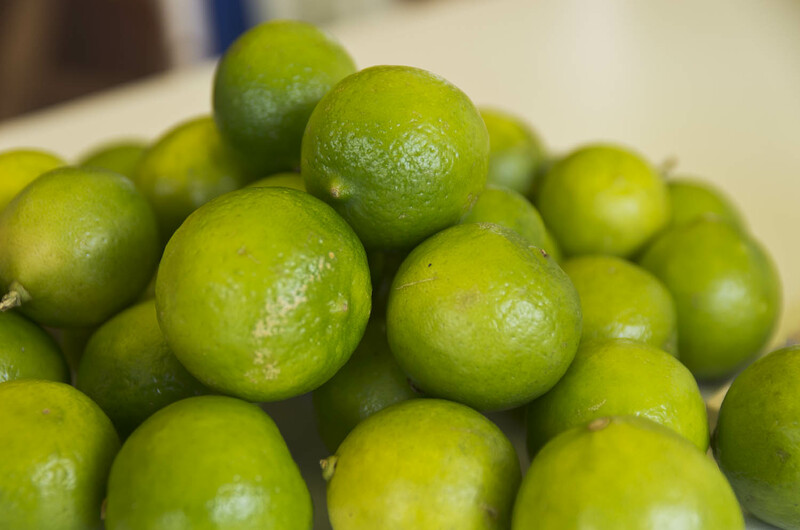 Pisco sours are the most famous way to enjoy this spirit-made with a lot of Pisco (3 parts) to one part juice of limon (key limes) and one part sugar. An egg white is added and the cocktail is shaken well then topped off with a drop or two of bitters. Chilcanos are also refreshing-also made with Pisco and limon followed by the curious addition of ginger ale. It’s surprisingly delicious. Another famous Peruvian beverage, also found in Chile (where they often use grapes) and Bolivia. 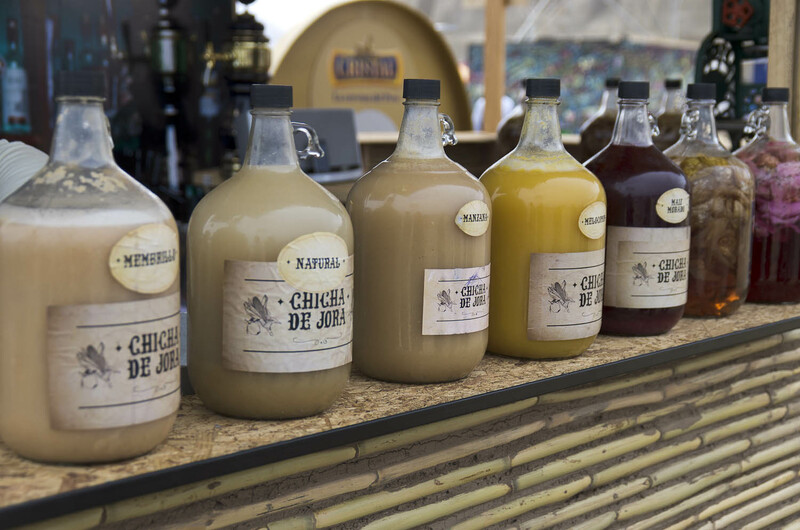 There are many different versions of chicha but the most famous is chicha de jora which is essentially corn beer (it’s made in the same way). It gets its name from the type of yellow corn (maize) used for it (jora). The corn is dried, boiled and then fermented for over a week. You can leave it longer and the chicha will be stronger or just drink it young, when it is sweeter. This beverage is perhaps the oldest in Peru and most important as it was used in ancient rituals in the ancient Andean culture (Incas). It’s still venerated today and it’s very traditional to spill out the first few drops for pachamama (mother earth). This is not a dish of Lima but instead the Peruvian Andes. 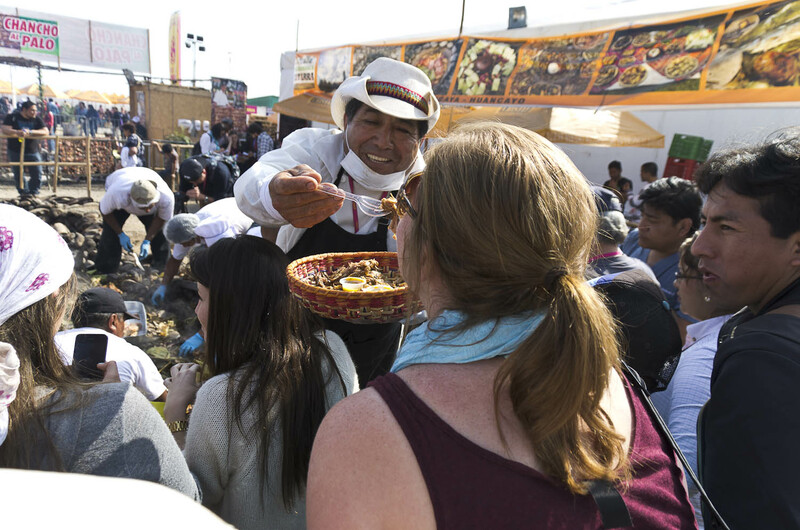 However, we had our first sampling at the food festival in Lima, Mistura, so I felt the need to include it. 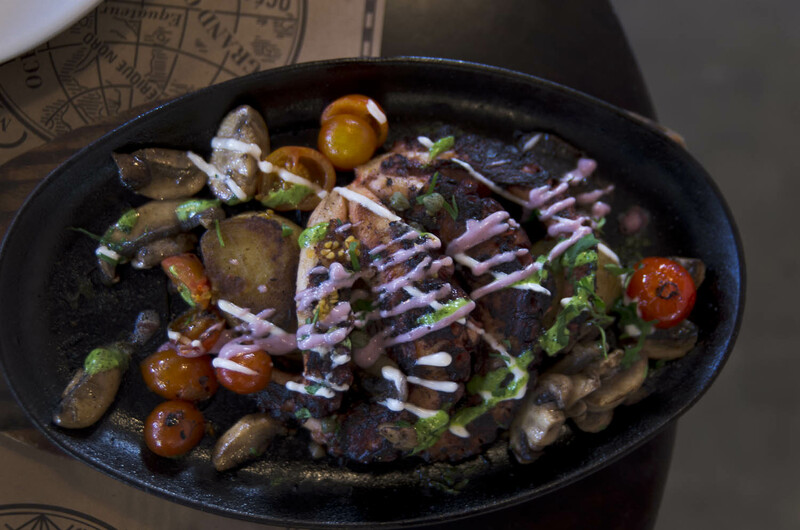 The word for this dish also comes from the Quechua for pacha-earth and manca-dish. If you guessed right, it is indeed cooked in the earth. First stones are heated by fire. 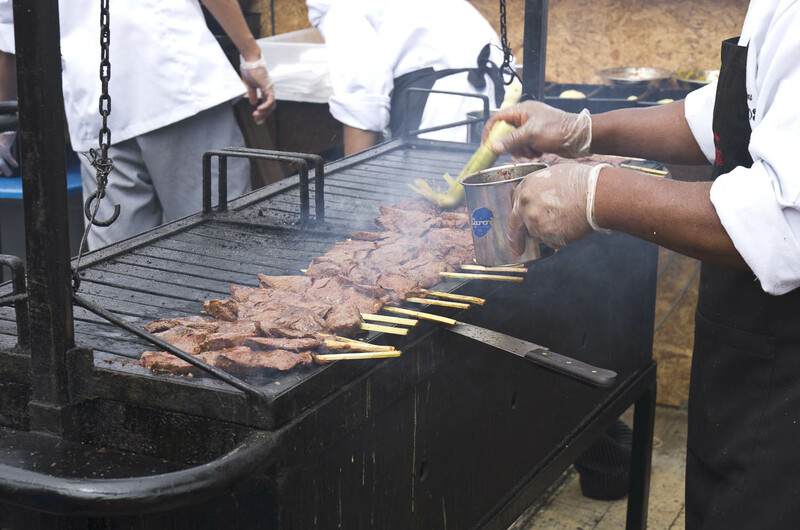 Then meat is poured in-usually pork (like the one we tried at Mistura) or it can be chicken or lamb. Then potatoes, sweet potatoes, habas (long green beans), humitas (kind of like sweet tamales) and tamales are added on top. 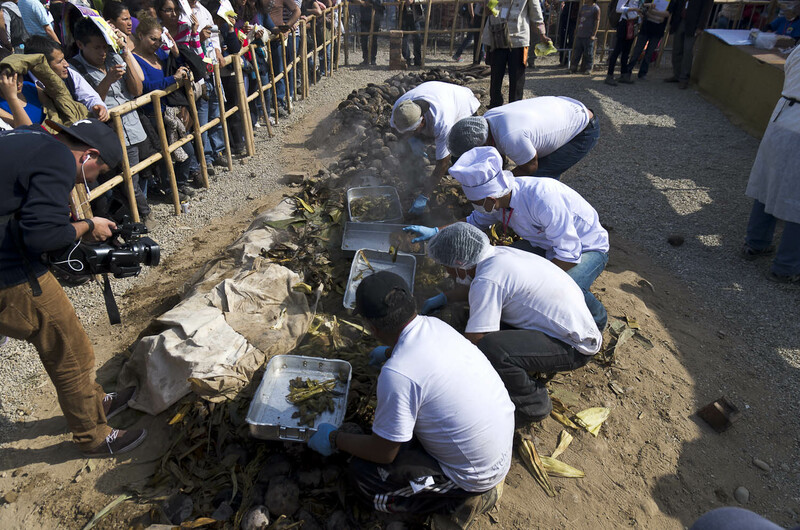 The dish is covered up with grass and earth and cooked for about an hour and a half. It feeds many people and therefore is often used for large celebrations. Keep in mind, this is by no means an exhaustive list, it’s only the beginning people! Stay tuned for more Peruvian food posts where I will be talking about cuy (guinea pig), alpaca, rocoto relleno, chupe de camarones, tacu tacu and more!